CHRI Press Release-6 March 2010. CHRI (Commonwealth Human Rights Initiatives) is deeply concerned at the continued restrictions and threats to opposition parties in the run up to Rwanda’s Presidential elections on 9 August 2010 and urges the Rwandan Government to take immediate steps to ensure respect for the basic, universal rights to freedom of expression, freedom of association and peaceful assembly of opposition parties. The absence of these rights is tantamount to breaches of the Commonwealth’s fundamental political principles that insist on free and fair elections (Harare Declaration 1991). On Commonwealth day, 8 March 2010, CHRI once again brings to the notice of the Commonwealth Secretary General the growing number of concerns surrounding political freedoms in Rwanda. Despite grave representations by CHRI and others about the appropriateness of Rwanda’s readiness for membership, given its record on human rights and its questionable role in the conflict in the Congo, Rwanda was unconditionally admitted to the Commonwealth as its newest member at the Heads of Government Meeting in Trinidad and Tobago last November. Rwanda’s membership requires that it honours and complies with the Commonwealth’s fundamental political principles which include respect for civil society and human rights. The Chair of a new opposition party, United Democratic Forces (UDF) has written to the Secretary General of the Commonwealth alleging state orchestrated harassment, describing violence against herself and colleagues as well as outlining the restrictive environment facing opposition parties in their electoral challenge to the ruling Rwandan Patriotic Front (RPF). Under Article 13 of the Rwandan constitution it is an offence to engage in “revisionism” or “negationism” (denial of the genocide). These are so broadly defined to include anyone who disagrees with the ruling RPF’s account of the Genocide. On the 25th of February the Ministry for Security in Rwanda issued a statement saying that any politician who “slanders the country” or is “against public unity” would be punished. In addition the Minister for Local Government has reportedly threatened to crackdown on unregistered political parties who are members of the Permanent Consultative Council of Opposition Parties. Further opposition parties have alleged that the government is making it hard to register by continually changing registration rules; the National Electoral Commission which regulates these matters is controlled by the members of the RPF. A number of opposition parties have also complained that they face repeated harassment from government officials and the members of the RPF. It is imperative that the Government of Rwanda thoroughly investigates, in a manner satisfactory to opposition parties, the many incidents of intimidation and bring those responsible to justice. It should also ensure that its electoral processes are consistent with UN and Commonwealth standards for free and fair elections. CHRI urges the Commonwealth Secretary General to insist that the Rwandan government makes every effort to create genuine democratic political atmosphere in the country prior August 2010 elections. We call upon the Commonwealth Secretary General Kamalesh Sharma, in his meetings this week with President Kagame, to urge him to ensure that in these first Rwanda elections as a Commonwealth member, the standards are patently free and fair and in compliance with Commonwealth values. In his article titled ‘The limits of free speech in Rwanda’, Stephen Kinzer, former New York Times, goes to great lengths to justify the limitations of Freedom of Speech in the post-genocide Rwanda led by Paul Kagame’s RPF ruling party. After all, why should Paul Kagame allow open debates on genocide and social problems in Rwanda? 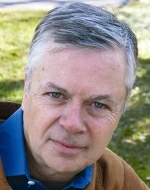 Stephen Kinzer argues that even in a country of free speech as the Us, it is not allowed to shout ‘fire’ in a crowded theatre. Sixteen years after genocide, Rwanda is facing a new test. President Paul Kagame, who is seeking re-election, is widely admired abroad. Among his fans are some of the world’s most famous do-gooders, from Bill Clinton and Tony Blair to Rev Rick Warren and Dr Paul Farmer. His enemies hope to use this election campaign to tarnish his image and show these admirers that he is no democrat. Rwanda is more stable and prosperous than many would have predicted following the 1994 genocide. The reconciliation process has been at least partly successful. Yet beneath the surface, Rwandan society remains volatile. Hatreds are unexpressed, but no one believes they are gone. Kagame’s government has passed laws against disseminating “genocide ideology”, meaning views that could inflame communal hatreds. People are supposed to describe themselves only as Rwandan, never as Hutu or Tutsi. Kagame claims these laws are necessary to keep Rwanda back from the abyss of violence. If he enforces them during the political campaign, though, critics will accuse him of suppressing free speech. Last month, a Rwandan-born businesswoman who has spent more than a decade in the Netherlands, Victoire Ingabire, arrived in Rwanda and announced that she was a candidate for president. Her party is based abroad and not recognised in Rwanda. According to a UN report (in French), she is supported by leaders of the principal Hutu insurgent group, which is among factions terrorising the eastern Congo. Ingabire’s first statements after landing in Rwanda were thinly veiled appeals for Hutu solidarity. “There is no shame in saying I am Hutu or am Tutsi; there’s nothing wrong with that,” she told one interviewer. Appealing to ethic identity this way is illegal. The official press launched a sharp campaign against Ingabire, and her campaign group has been attacked at least once. She has been interrogated by police and warned that she will be arrested if she continues preaching “genocide ideology”. Amnesty International responded by accusing the government of “intimidation and harassment”. Kagame won the last presidential election, in 2003, with a reported 95% of the vote. Critics complained that the campaign was unfair, but Kagame emerged relatively unscathed because few outsiders were paying attention. Seven years later, Rwanda is in the midst of a promising transformation and Kagame is a darling of the global development community. His enemies know they cannot defeat him in this election; he is the strongman and will do whatever is necessary to win. Their strategy is to bait him into taking actions – like arresting a rival candidate – that would make him look bad abroad and thereby weaken his regime. Many people in developed countries look suspiciously, as they should, on leaders who impose restrictions on free speech. Even in the US, though, it is illegal to cry “fire!” in a crowded theatre. That is what Rwandan leaders accuse the foreign-based opposition of doing – fanning hatreds that could explode into another genocide. The opposition, in reply, insists it is merely speaking truths Kagame does not wish to hear. Kagame, who was called the “Napoleon of Africa” during his march to power in the early 1990s, is acknowledged to have great military skills. His political skills are less tested. Between now and the election on 9 August, he must navigate a delicate course that will assure him three things: re-election, national stability and minimum damage to his reputation. This is to be his last campaign, since the Rwandan constitution limits presidents to two seven-year terms. How he conducts it will shape both his legacy and Rwanda’s future.